Type M for Murder: Would you use a bookless library? 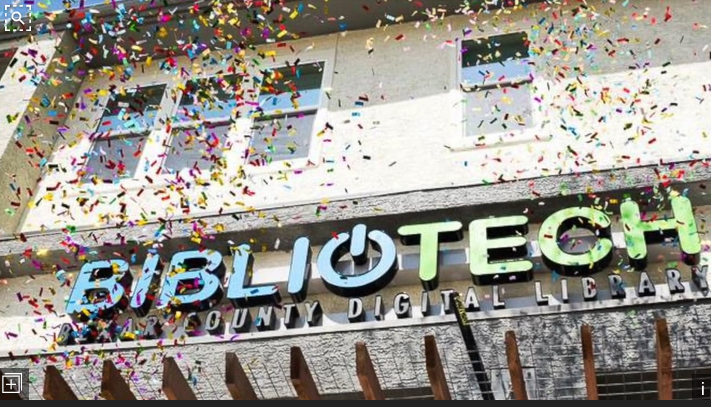 The world's first ever bookless library, the BiblioTech, was opened in 2013 in Bexar County, Texas, in the United States. It has 100 e-readers on loan and dozens of screens where the public can browse, study, and learn digital skills. 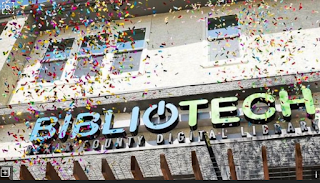 The BiblioTech people don't like the term bookless, calling it instead a "digital library" — after all, it's filled with books, but in digital form. On its first day it had 1500 visitors. As I understand it, it's a low-cost way of bringing books to a relatively poor district in the city and I applaud the library authorities for their efforts. But even for someone like me, who likes ebooks as much as paper books, I find it difficult to get my head around the idea of a library that houses no physical paper books whatsoever. Rightly or wrongly, the BiblioTech sounds a soulless place and reminds me of the bookless bookshop in Stanislaw Lem's book Return from the Stars (published in 1961!). "...No longer was it possible to browse among shelves, to weigh volumes in hand, to feel their heft, the promise of ponderous reading. The bookstore resembled, instead, an electronic laboratory. The books were crystals with recorded contents. They can be read by the aid of an opton, which was similar to a book but had only one page between the covers. At a touch, successive pages of the text appeared on it. But optons were little used, the sales-robot told me. The public preferred lectons – like lectons read out loud, they could be set to any voice, tempo, and modulation... . Thus all my purchases fitted into one pocket, though there must have been almost three hundred titles. My handful of crystal corn – my books." 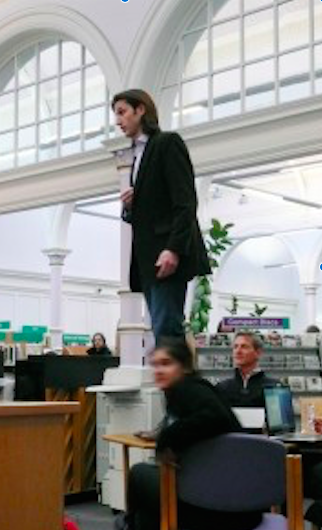 I can't imagine holding an author event at a BiblioTech, or taking my granddaughter to story telling sessions there, or doing any of the other fun stuff our local libraries here in Edinburgh offer, from pole dancing lessons (!) to guerrilla operas. Okay, I've yet to go try the pole dancing classes but I was once lucky enough to catch a couple of opera singers perform a love song between the bookshelves. Fantastic! But maybe such things could also occur in a Bibliotech? What do you think? Have you ever been to a digital library? Did you like it? Can you see yourself doing an author event at one? 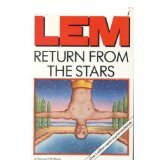 And by the way, do you think the Stanislaw Lem's "opton" is the first mention ever of a Kindle? Interesting. I hadn't heard about this. I guess I would go to a digital only library if it was my only option. I would miss seeing physical books on shelves, though. 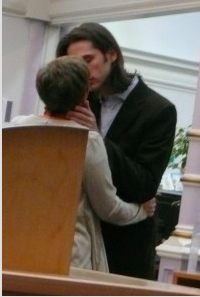 My local libraries do not have pole dancing! I want to go to yours. I hear it's really good for your core strength. yes, I'd miss seeing the books too. This is a good example of why Type M for Murder works so well and has stuck around for so long. You write a terrific piece on digital libraries and it sets something off in me. I was not planning on writing another post on old books this week, but I was thrown onto a different road by reading your post, Marianne. And as for digital libraries, I supposed they're going to be the wave of the future. They'll eventually be cheaper, have copies of nearly anything ever written and be able to be housed in one small room rather than whole buildings. But in some ways, the world would be diminished somewhat. Hi Rick, I agree, the world would be diminished if we were to lose our existing public libraries. 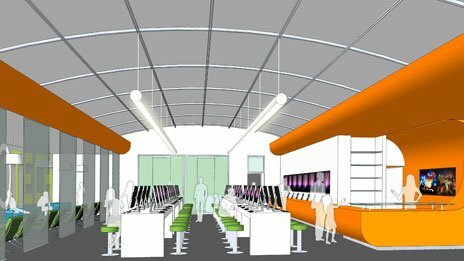 It'll be interesting to see what the future brings, after all, who knows what information technology has in store for us – if Virtual Reality brings the world to us, we may never have to leave our homes and what future then for our libraries, digital or otherwise?